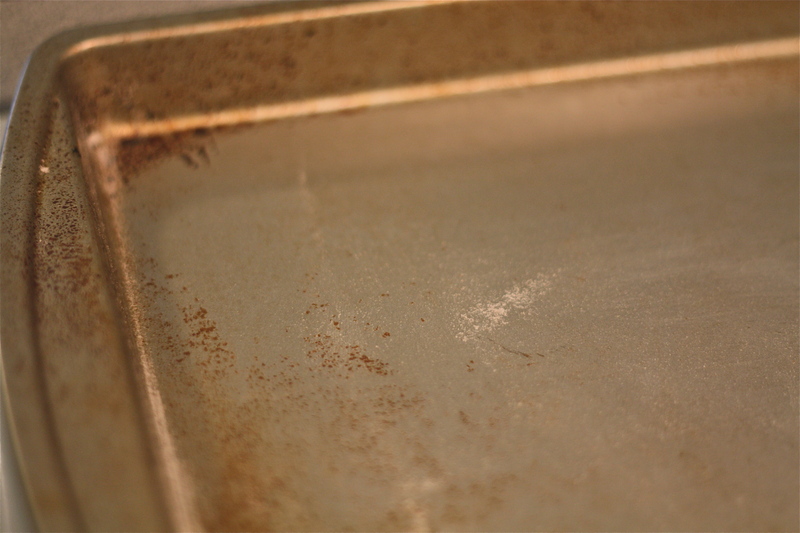 A few months ago my aunt asked me if I had any tips for removing stuck on cooking spray from baking dishes and sheets. You know, when you use cooking spray and it hardens and then it doesn’t wash off? 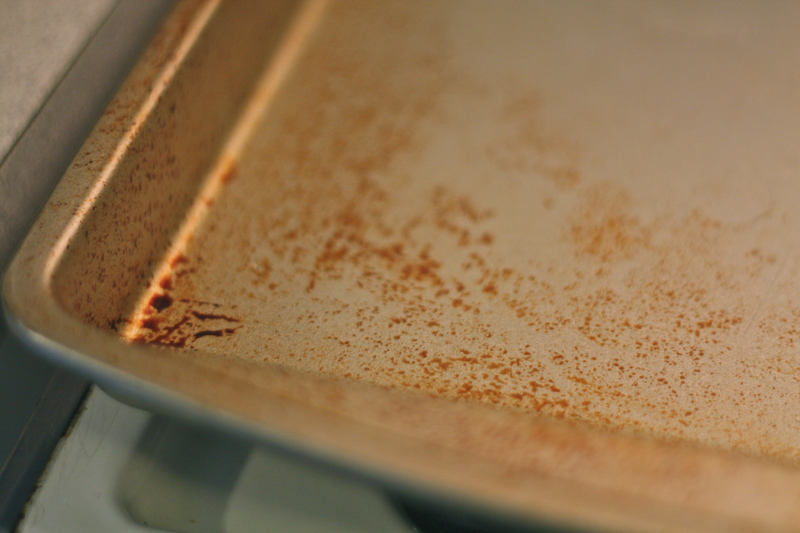 It can happen to baking sheets and glass dishes. Over the weekend I did a little research and tried out a few tricks. After many Google searches I found that what seemed to work best was either using dishwasher detergent, not dish washing detergent, but the stuff you put in the dishwasher or baking soda and water. I tested out both on my cooking spray stuck on baking sheet. 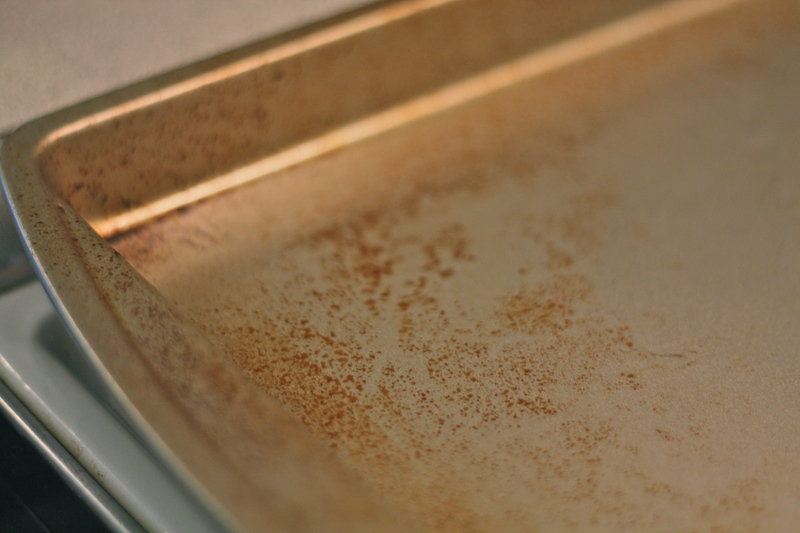 I dabbed a little bit of the detergent on the tray and used a dry cloth to scrub it around. With the baking soda I sprinkled it all over the cookie sheet. Then I dabbed a dry cloth in a small amount of water. And I scrubbed. And scrubbed and scrubbed. The amount of elbow grease in this project was intense. To the point that I had to call in Al to take a turn. The dishwasher detergent produced very little results…maybe it would work better on a glass dish? 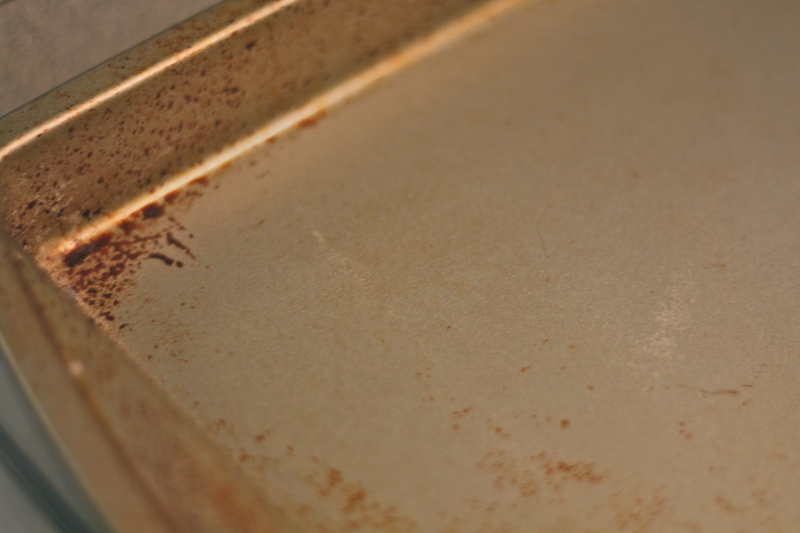 The baking soda though, after crazy amounts of elbow grease, the stains started to disappear. So, I guess if I had to choose I’d go the baking soda route. It might also be much easier to remove the stains from glass dishes, but I didn’t have any that were terribly stained to use. Just a last before and after…I still have a lot more to scrub off but I wanted to show you guys the initial results. Thanks!! 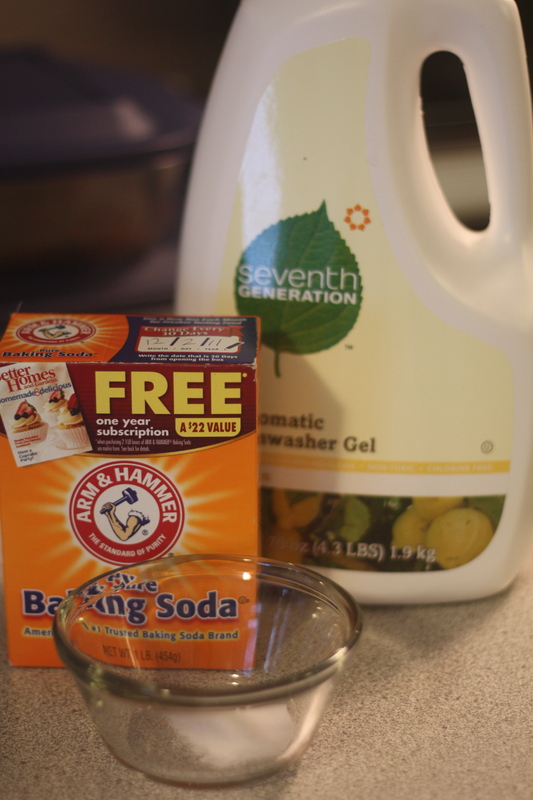 I will try the baking soda method! Your muscles might be sore after all the scrubbing…have the advil ready!! Justtt joking!